Jollydays Glamping, York, Yorkshire, sleeps 2-100 in 22 bedrooms. 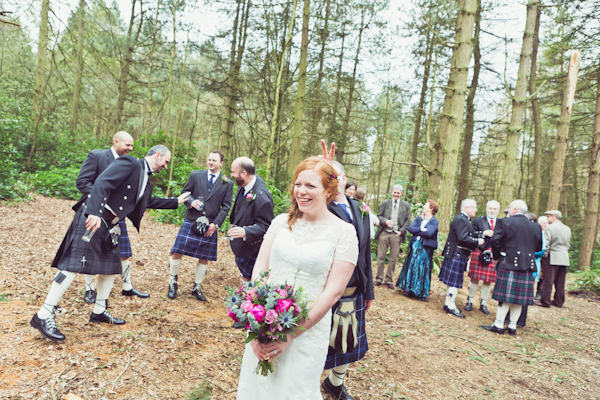 Jollydays is perfect for a romantic woodland wedding. 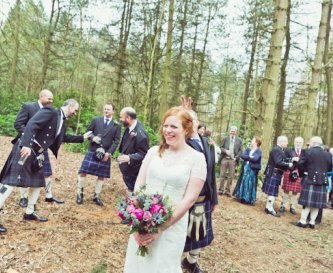 Having had your civil service why not have a blessing here at Jollydays and take advantage of our woodland back drops and picture perfect settings. 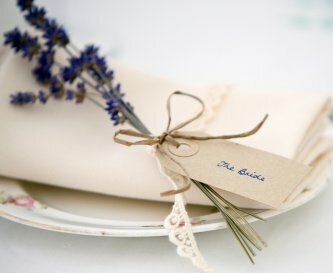 We can offer exclusive use of the whole site, and you have the freedom to create the wedding day of your choice. 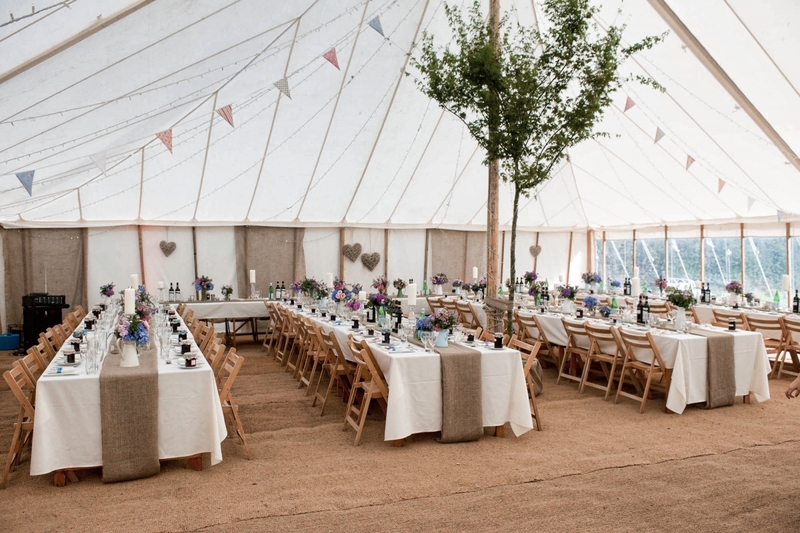 We have a designated marquee area where you can hire your very own style marquees to fit in with your wedding style. We can help arrange this with you. 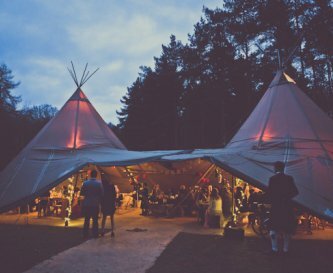 Why not hire the entire camp for a weekend stay which allows your friends and family members to experience glamping with you on your special day. 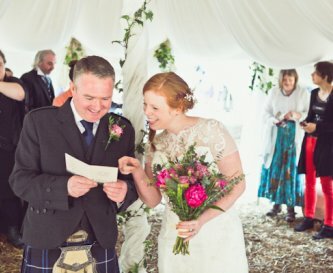 If you don't wish to hire the entire camp, we do provide a option of a day wedding in which you have use of the campsite from 10am - 6pm. 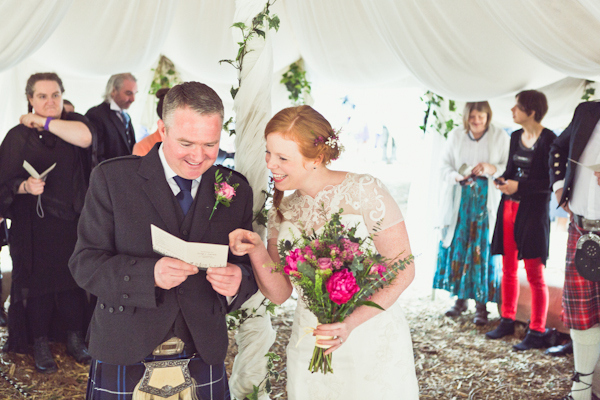 The prices we quote are taken directly from our accommodation page and we do not charge a premium for weddings. 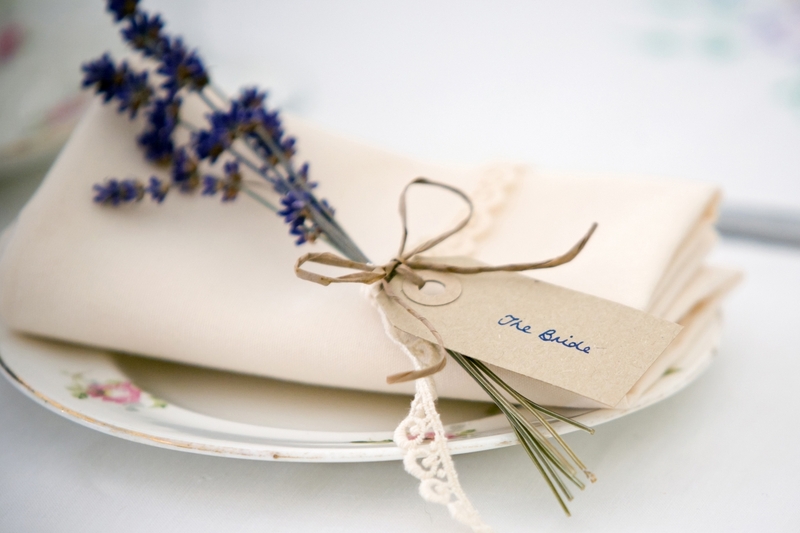 We have no hidden costs and we do not charge corkage or take a commission from any of our suppliers. You are free to use your own suppliers if you prefer. A kitchen is included with every tent. Also a barbecue with cutlery and utensils. Fridges in Woodland tents and cooler box in others. 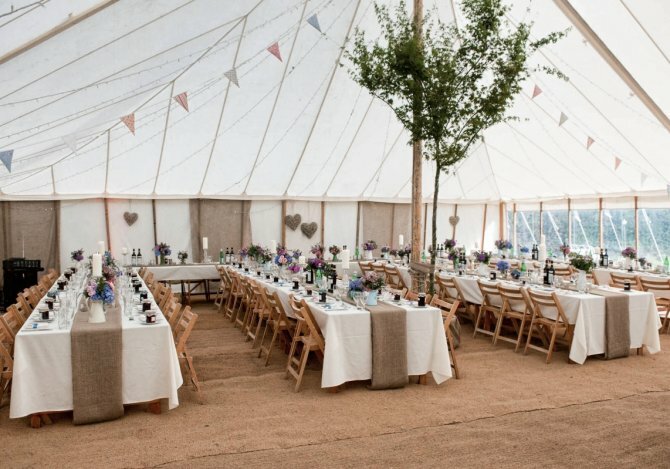 There is an outside dining area for each tent & woodcutters outside, and inside our Lodge /Woodland tents is a dining table and chairs - seating 6. Within the Lodge and Woodland tents there are couches/sofa beds and within our Woodcutter Huts double futon sofa beds around a cosy log fire. There are no facilities for TV and music as we encourage eco living, and we only have a limited supply of electricity on site. There is no WiFi or payphone facilities on site, but there is mobile reception. WiFi can be accessed at a cafe close to the site. No games room but plenty of activities around the camp, as shown in info pack inside tents and on our home website - check out our online brochure. Wood burning stoves in each tent and hot water bottles are provided. A communal campfire is the only open fire on site - perfect for star watching! Beds are already made up and ready for you on arrival in Woodland /Lodges tents, and Woodcutter Huts, with extra bedding for those chilly nights. Lodge/Woodland tents have bath & shower facilities inside the tent.The Woodcutter's have use of the communal showers/toilets. All provide hot water. No specific facilities in place at present but we do have a Lodge tent that accommodates a disabled bathroom/shower and has a ramp instead of steps. Cots/high chairs available on request before arrival. Children can discover the joys of dens, rope swings & imaginative play within the camp site. 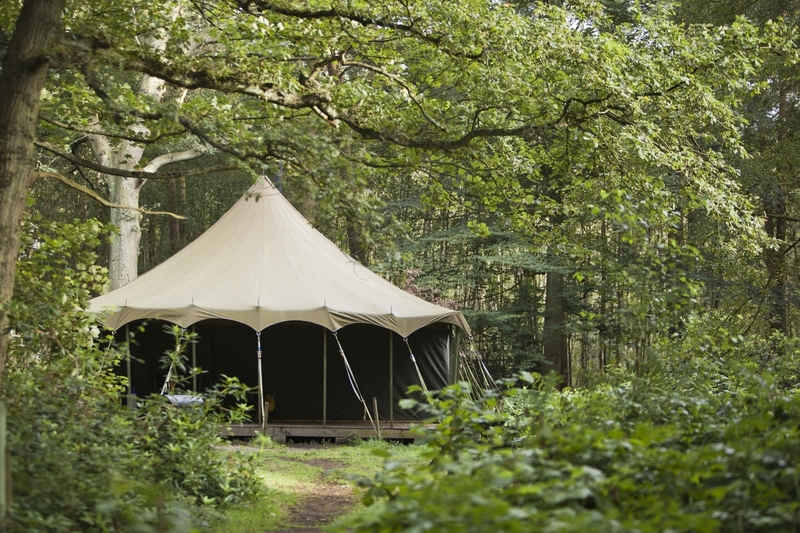 200 acres of untamed woodland surround the camp site which can only be accessed by one small private road. Woodland walks/cycle routes also available. We do not have one on site but there is a public swimming pool only 8 miles away. There is designated parking off the main roads for all guests at the front of the camp. This parking holds spaces for a full camp. Smoking is forbidden inside the tents, but there are specific buckets for the disposal of cigarettes outside the tents with shelter. 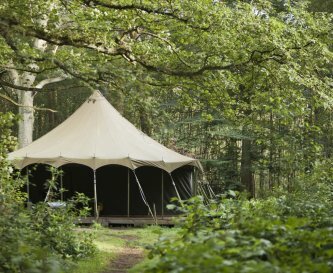 Sadly no pets are allowed on the camp site, to protect wildlife within the woods..
We are wonderfully situated at the crux of The Howardian Hills and The Wolds, both areas of outstanding natural beauty. 30mins drive to Flamingoland - just outside York and masses to do in the area. Stamford Bridge is the closest town - 15 minute walk. One of the country's biggest tourist attractions - the historic city of York - is only 20 minutes away from the camp. Market towns surround us! Stamford Bridge is the nearest shop (2 minute drive) but opening summer 2018 is our new, onsite woodland kitchen and bar. 15 minutes drive to 24 hour supermarkets and 5 minutes to fabulous farm shop. Opening summer 2019 is our very own woodland kitchen & bar. Nearby is The 3 Cups, The Ballon Tree, The Bay Horse. Our opinions and those of previous guests can be found in info pack on arrival. Prices vary seasonally, updated prices are on our website. From as little as £15 per person per night (based on 6 sharing / March 4 day mid-week stay). York is the nearest train station which is 20 mins away. There is a bus route from York train station to Stamford Bridge & camp is 15 minutes walk from there, however taxi (Streamline 01904 656565 is the most reasonable and reliable) or car is recommended. Leeds Bradford International Airport, 30 miles. Manchester airport approx. 90 minutes. 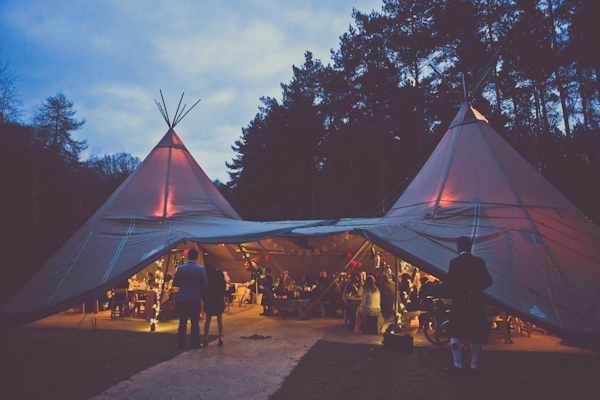 Weekend wedding package suitable for up to 100 guests - from £3,950 for exclusive use of campsite - ex accomm price. Weekend package - from £8,045. 2 night mid week special - from £3,915. Delicious day package - £950. Budget package - from £1,870.